EUROPEAN FARMHOUSE CAMELBACK DESK - European Farmhouse Camelback Desk with four drawers. 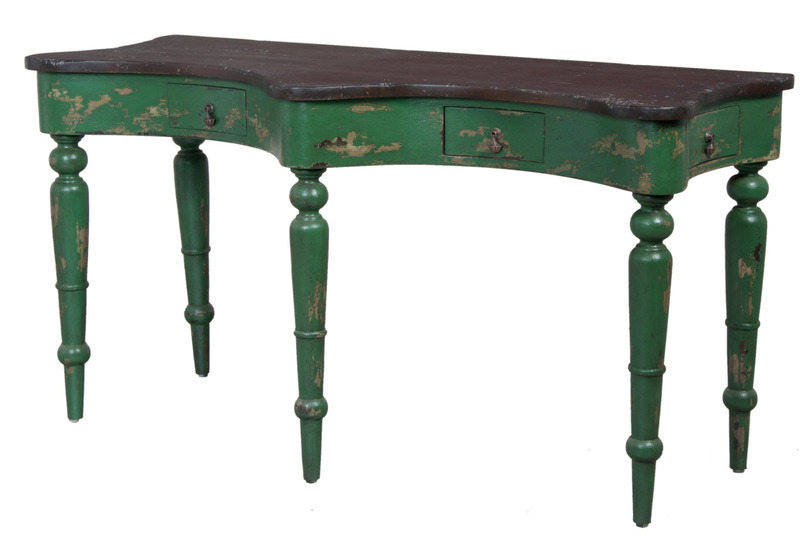 Top in Heritage Grey Stain finish and base finished in Woodland Sage Green under Summer Green. H 30" x W 58" x Depth 24"